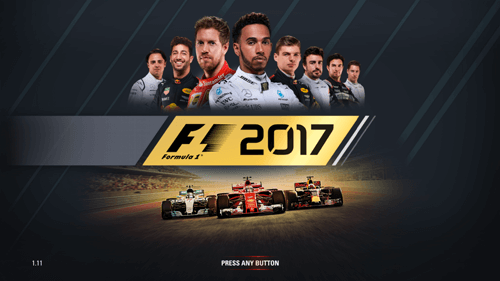 F1 2017 by Feral Interactive is the Formula 1 Racing Game Mac version of the Codemasters F1 2017 game for PC, XBOX, and PS4. 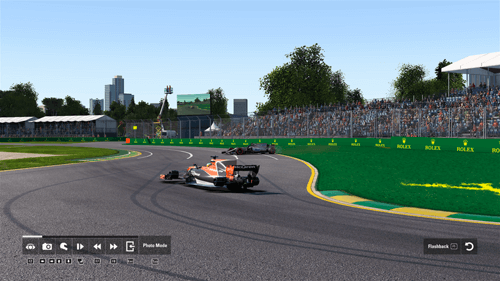 Feral Interactive has ported other versions of the long-running Codemasters F1 game series to the Mac in the past, including F1 2016, which I reviewed for MyMac in August, 2017. I’ve said this before, but Feral Interactive has done Mac owners a huge favor by bringing the Codemasters F1 series of games to our platform of choice. Feral Interactive discards the accepted wisdom of Macs as gaming laggards, and substitutes their own reality of bug-free, high performing ports of PC games like F1 2017. This company has my respect and gratitude for their work. I can only hope they also have a lot of money eagerly handed over to them by many happy Mac gamers. As with my coverage of Feral’s previous F1 game, my review setup for the Mac version of F1 2017 is a late 2015 27” 5K iMac with 4 GHz Intel Core i7, 32 GB DDR3 RAM, AMD Radeon R9 M395X 4096 MB, and an SSD drive. Driving inputs are facilitated via a Logitech F310 Gamepad, which is to driving a Formula One racing car a bit like oven mitts are to soldering a chip resistor onto a computer motherboard. Nevertheless, it lets me turn the wheels and shift the gears, and it cost me $20.00. Good enough. 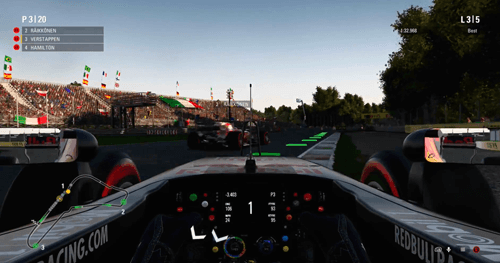 Feral Interactive lists the hardware requirements for F1 2017 on its website. 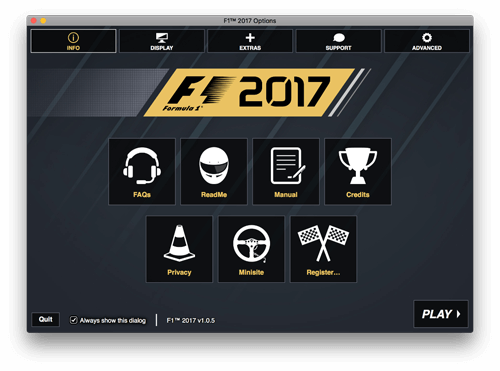 You’ll need a Steam account if you purchase the download version from the Feral Interactive site, but F1 2017 is also available in the Mac App Store. The Steam account requirement is good news for Feral as it simplifies both porting and supporting the game. It’s also good news for gamers looking for multiplayer action, because Steam is always going to provide a far greater availability of opponents than the Calico multiplayer service did. 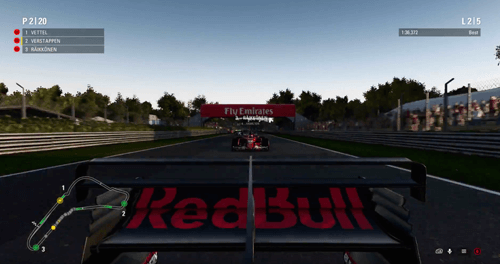 You may be wondering how different F1 2017 could possibly be from F1 2016. The answer is noticeably different indeed. Part of that is because the sport of Formula One itself has changed — cars and tires are wider under the current regulations than they were last year, and the increased mechanical grip means cars are faster and lap times are much quicker this season. Since F1 2017 is about providing a realistic racing experience, this in turn means faster and grippier cars in the game. 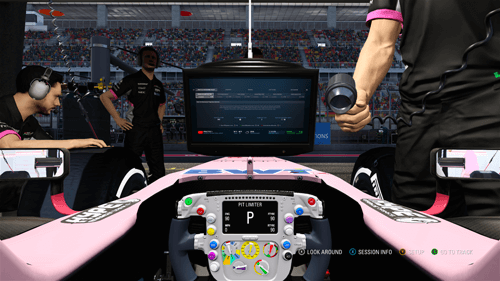 F1 2017 also provides more interaction with the team and more in-depth off-track decision making. On the flip side, F1 2017 is also going to feel familiar to F1 2016 players. The UI and the gameplay options are pretty much the same. Whatever learning curve you endured in F1 2016 to figure out how to navigate the game, get through the menus, and find the options you want both in and out of the car, will pay off immediately when you fire up F1 2017. Continuity in a series is kind of a no-brainer, but it’s nice when it works as well as it does here. Regardless of similarities, you shouldn’t underestimate the importance of the improved car feel and cornering capability in F1 2017, especially if you’re playing with a gamepad as I am — it removes a lot of the frustration and inconsistency from track to track that I experienced in F1 2016. It also makes the cars in the game wildly more fun to drive, and if that’s not the point of realistic racing games, I don’t know what is. F1 2017 also features a newly increased realism in mechanical wear management and car development. F1 cars have become quite reliable in recent years, given what they’re asked to do on-track, but mechanical parts still wear out and break. Part of the learning curve of F1 2017 involves managing equipment and deciding when to take a grid penalty for replacing something that’s on its way out. I have mixed feelings about this, but it’s not the fault of the game developers — that’s how F1 is and this aspect is part of the realistic nature of F1 2017. I just don’t know if it’s the most exciting thing in the world to include in a game aimed at simulating the life of a driver, as opposed to, say, a team manager. It is the greater focus on this mechanical part of the game that constitutes my only real complaint with the changes for 2017. It is true that drivers have to look after their machinery in Formula One racing, but it’s not true that they have to allocate funds towards car evolution and determine the priorities of said engineering improvement based on what other teams are doing. That’s what the high salary engineering department and the team manager are for. If there was one aspect of F1 2017 I’d like to see de-emphasized, that would be it — the strategic element of focus on ongoing car engineering. You will want to make good use of these weekend pre-race practice sessions, rather than skipping straight to the excitement of qualifying and the race. Practice sessions are where car development takes place, and you can use resource points earned throughout the season to focus on improving whatever technical aspects of the car you choose in order to level the playing field with another team. Engineering development is always ongoing in F1, and F1 2017 requires you to plan accordingly or become less competitive as the season goes on and other teams add upgrades to their cars. On-track practice sessions are a realistic part of the driver’s own involvement with car upgrades, so while I don’t enjoy them much, they are a reasonable inclusion. Truth be told, I want to be a driver, so just let me try to drive the wheels off whatever it is the team comes up with. If I don’t like it, my manager can always try to score me a ride with a top team. I know that there will be some engineering chores during the weekend, but the particular presentation of these on-track development programs doesn’t always inspire the most enthusiasm. It’s a lot like doing homework, and no one ever launched a video game in hopes of getting a taste of that. In a similar but slightly more relatable vein, F1 2017 also advances the level of on and off-track interactivity with the team during career mode. You’ll spend more time with the team’s engineers, working with them to improve your performance throughout the season, in addition to the already familiar conversations with your manager. The off-track cut scenes and interactions do add to the realism, even if many of the characters look identical from team to team, making me wonder at one point if the sport of F1 had gone the route of cloning engineers and making them available to all the teams. It’s not just your own team that wants to talk to you. Your manager will introduce you to rich guys who probably sell stock for a living and happen to own classic Formula 1 cars who will hire you to drive their vintage machinery in different classic car competitions. You’ll get to sit in such F1 cars of the past as Williams, Ferraris, and McLarens, and you’ll be free to bash wheels with your fellow drivers. I banged wheels pretty hard with a couple Senna-era McLarens during one classic event while trying to haul my Williams from the back of the grid to the front, which would have required me to pass eight cars. I managed to pass three. Which reminds me: F1 2017 hammers home once again that I’m never going to be winning races with no assists, posting YouTube videos with millions of views, and setting competitive lap times on the global score board. I don’t have the equipment (I don’t care what anyone says — this game demands a high quality wheel) or the time that F1 2017 demands in order to be great at this game. It’s also possible that I’m just a terrible driver, but I’d really rather not focus on that possibility here. From the sheer competitive drive standpoint, F1 2017 can be frustrating. It’s a bit like pedaling home from work, checking your average speed on the bike computer, and realizing that your fastest flat ground speed is about the same as the Tour de France riders can do while winding up a steep climb. It’s demoralizing. The global leaderboard exists to crush your spirit. It’s also like pedaling home from work in the positive sense. It’s exhilarating and gets the heart pumping. There’s plenty of improvement to be found in the eye-hand coordination arena, and in your ability to feel the car and know what’s going to happen before it does. You don’t have to be the best or even near mid-pack to enjoy the experience. I don’t know if I’m representative of most normal people or I’m sub-standard, but my best advice is to not worry too much about global competition if you can’t handle being crushed on a daily basis. The thing about F1 2017 that’s really worth coming back for is the pure enjoyment of driving a realistic feeling F1 car. At times I felt completely at sea with these cars and my controller, performing abysmally at the season opener in Melbourne, Australia. The narrow street circuit demands a perfect flow and rhythm from car and driver, and I most certainly did not deliver. But at other proper purpose-built circuits, I could race more than competitively given my Force India machinery of choice. Maybe the performance swing is just the difference between me and real drivers, or maybe it’s just that I’d be better with a steering wheel in my hands, just as I’d probably be rubbish in my daily driver if it came with a gamepad for control. One thing that does continue to bug me about the game that’s unchanged from last year is my insane level of inability to control a car that has any debris at all on the tires. Go off on the grass? Prepare to drive on ice for at least half a lap, if not more. I get that off-roading does compromise F1 tires, but F1 2017 takes it beyond the extreme. Forget about getting started again without doing a few unintentional doughnuts. That seems a little hard to believe considering the whole standing start thing, which is basically mashing the throttle and popping the clutch in first gear. It might sound like I’m complaining, and truthfully, I am. I hate losing, I hate going off track, and I hate being slow. When I’m at the wheel, I want to pass everyone, and I want to win. Anything short of that irritates me. But in truth, F1 2017 is just plain fun. Driving a racing car really fast and juggling basic car control along with tire management, fuel, pit strategy, and dicing with opponents is a handful. That’s how it should be. But when you nail the perfect exit of a corner or outbrake your opponent right at the limit of tire adhesion, there is no better feeling. F1 2017 captures that and delivers it to the player in spades. The constant low-level stress and the non-stop focus required in order to perform well is addictive. Part of what makes driving a car at speed so fascinating is the need to get the brain working on point and blocking out everything except the job of going fast and not crashing. The in-game AI (artificial intelligence) in single-player modes is quite good in my experience, which leads to good on-track action. It’s better by far than the driving dished out by my fellow human competitors during my first few forays into multiplayer mode. The first two races I started ended with me in the wall before the exit of the first corner. I was not amused. Fortunately, there’s in-game voice, and I let the offenders have a piece of my mind. Whether they could hear me or not is another matter, as the game handles voice by proximity when needed to reduce lag. I wish I could say I’ve put enough multiplayer miles in to be an expert in how robust it is, but I haven’t. For one, I’ve always lined up in five lap races, and also I’ve had that thing about the magnetic walls and helpful nudges from new friends (annoying jerks). Still, it seems to be able to handle a full grid without issues. I think the main limiting factor will be the connection bandwidth of the participants. 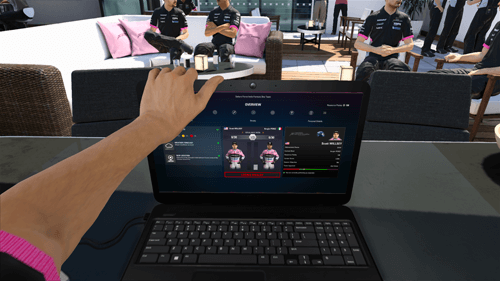 As I mentioned earlier, the multiplayer experience benefits greatly from Feral Interactive’s decision to stick solely with the Steam platform for the Mac port of F1 2017. In every instance that I hopped online, there was a session to join. I once found myself on the grid at the beautiful Italian temple of speed known as the Autodromo Nazionale Monza with two other cars as my sole rivals, but for the most part, there are many full races to be had. That three car race at the Italian Grand Prix was my first introduction to being shouldered off the road at 100 mph at the first bend by a less than ethical opponent. I know who you are, sir Ferrari driver. I know who you are. Having never experienced multiplayer mode in the F1 series before, due to the constant unavailability of human opposition in F1 2016’s Calico service, I found myself longing for more and more multiplayer contests, despite the brutish nature of my fellow drivers. Multiplayer mode is fun. You are going to love hating people. You might even swear off single-player mode altogether, aside from the need to practice intensely so that you can try to be the one shoving others off the track before racing off into the distance for a change. F1 2017 isn’t perfect. There are glitches, just as there have been in every version of the F1 franchise, and it’s probably inevitable in games of this complexity. The good news is, I didn’t encounter many — but I did see some bizarre behavior that left me laughing out loud. Even allowing for the usual bugs here and there, the sight of Fernando Alonso cruising around the bend towards me with no wheels at all on his McLaren Honda during Adelaide practice was a welcome hilarious interlude from my own awkward attempts to get myself pointing back the right way on track after a clumsy spin. I don’t know if Codemasters and Feral Interactive are time travelers who are showing me the future of F1, but the notion that McLaren has somehow managed to create a 200 MPH hover car is truly amazing. Well done, McLaren. For the most part, glitches in single-player mode are few and far between. Most weirdness occurs in multi-player mode as the game tries to sync everyone on track at once. One typical oddity that isn’t a bug but is due to the nature of multiplayer games with people using varying quality of network connections: a couple times in online games I saw semi-transparent phantom cars racing around in ghost mode, somehow subject to the laws of physics even though apparently less than fully present. Hopefully for those ghost riders, their victory trophies were more molecularly sound. F1 2017 also ghosts cars when they go off track or go slowly, in order to avoid chain-collisions. This has also typically been true of multiplayer mode in the F1 series, and alleviates a lot of online frustration at the cost of realism. As far as I’m concerned, none of these quirks, intentional or not, ever came close to disrupting the fun of multiplayer game mode, and single-player mode was largely bulletproof. The bottom line for any game is whether or not it fulfills its purpose and if it is worth the price of admission. F1 2017 does both. 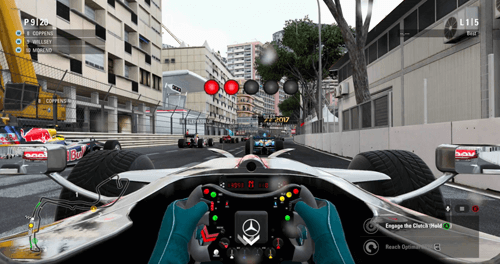 This game allows F1 fanatics to enjoy the fantasy of being a competitive Formula One driver, and it allows online gamers to compete head to head with players from across the globe. 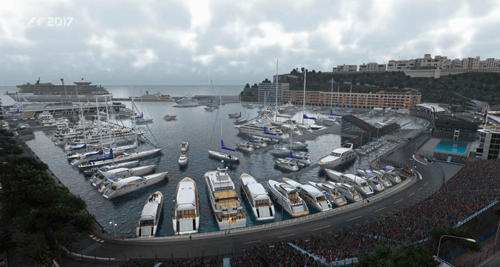 If you enjoy driving games of any kind, F1 2017 Formula 1 Racing Game for Mac by Feral Interactive is a top contender for a place in your virtual game shelf. If you love F1 in particular, F1 2017 handily shows its rear wing to last year’s edition and disappears up the track.